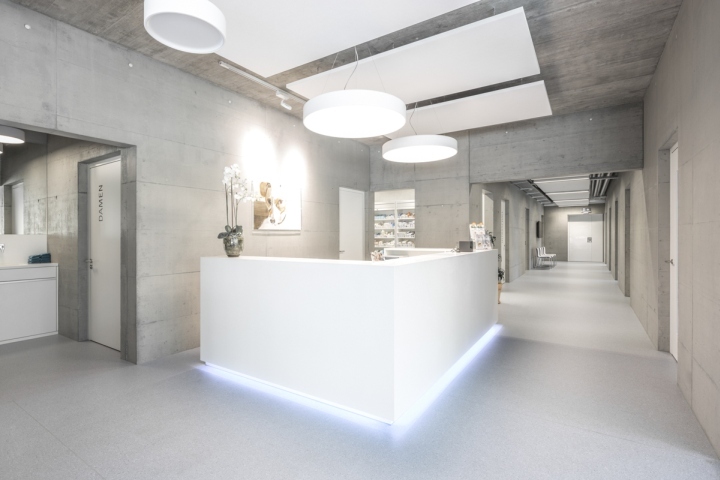 The Veterinary clinic Masans in Chur, Switzerland was designed to re-accommodate a 17 membered crew of veterinary specialists and provide them with a spacious, fully equipped and pleasant working environment. 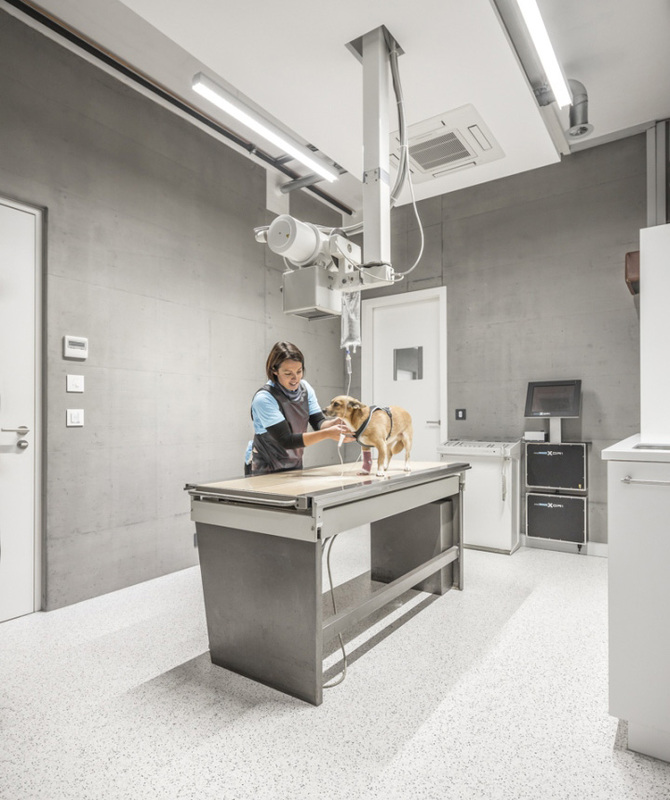 With a surface of 1145 m2 and high-tech medical technology, it is by now considered to be the veterinary center of Southeastern Switzerland. The building is partly underground and the planted green roof serves as a garden and playground for the housing complex built on the same plot. 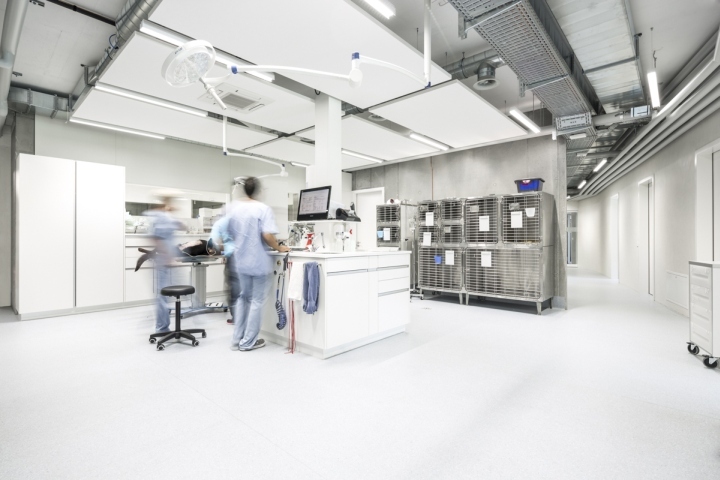 The rooms requiring natural light are placed on the perimeter of the floorplan while spaces like storages, laboratories and surgery rooms than need artificial light are moved to the core. 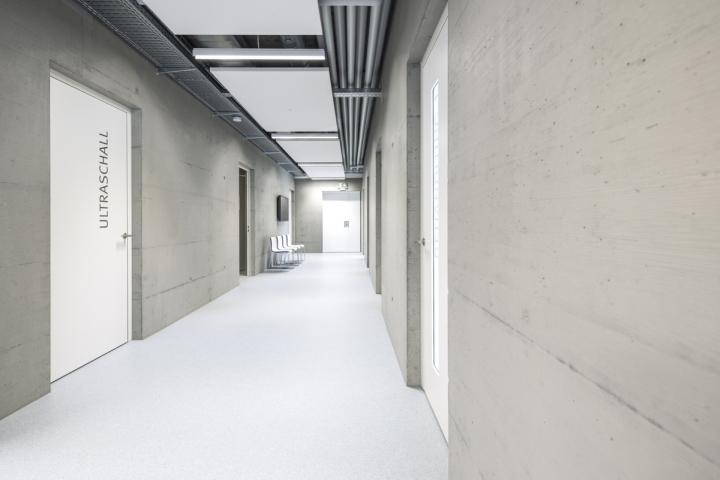 In order to brighten these interiors up and make them friendlier, the architects chose to work with mainly white colored elements such as white doors, furniture, Corian working surfaces and suspended ceilings. The background to these, are mainly concrete walls and light grey linoleum floors. 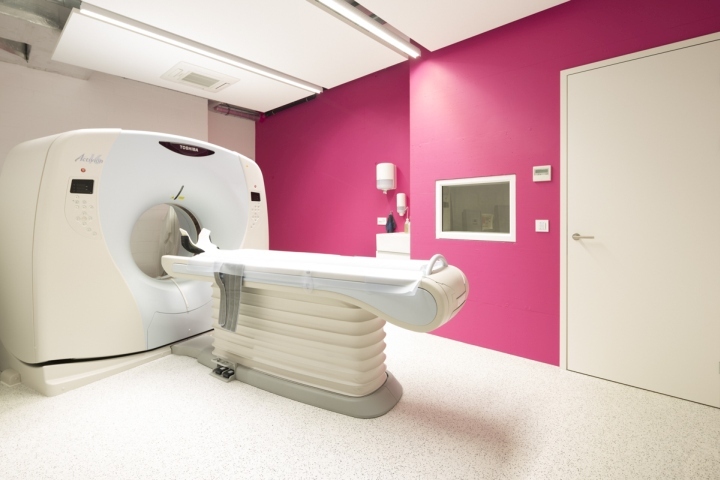 All materials chosen at the clinic are durable and easy to clean. 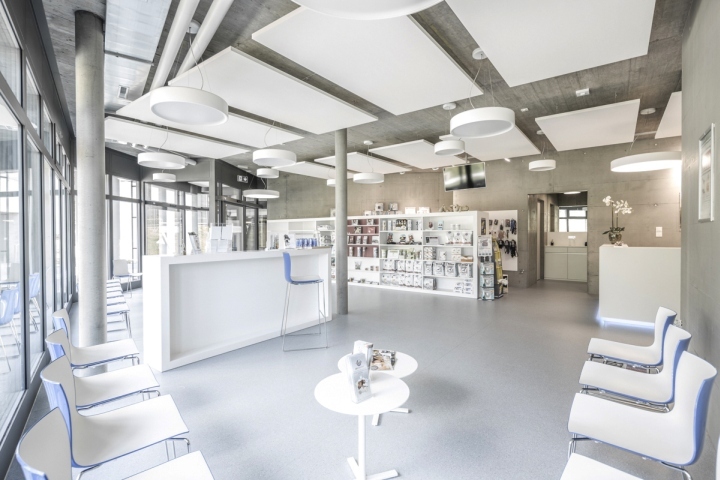 Their color combination of white and grey gives a pleasant and calming atmosphere to employees and visitors. 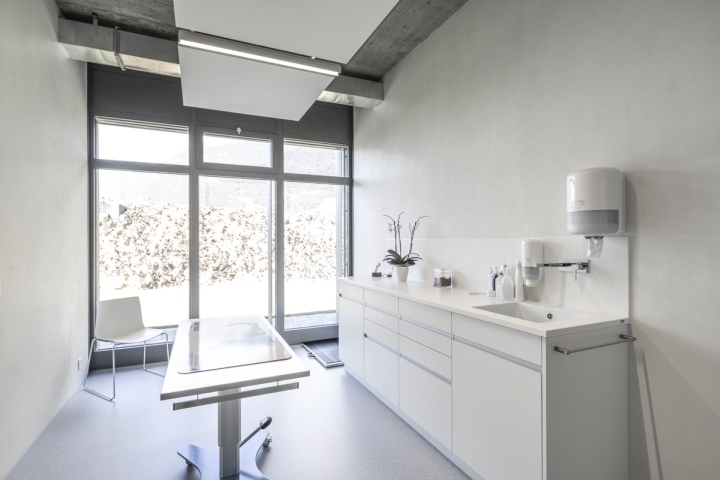 Since clinics require many and different kinds of diagnostic equipment it was decided to reveal the machinery���s ceiling installation over the corridors and maintain the technical character of the institution. 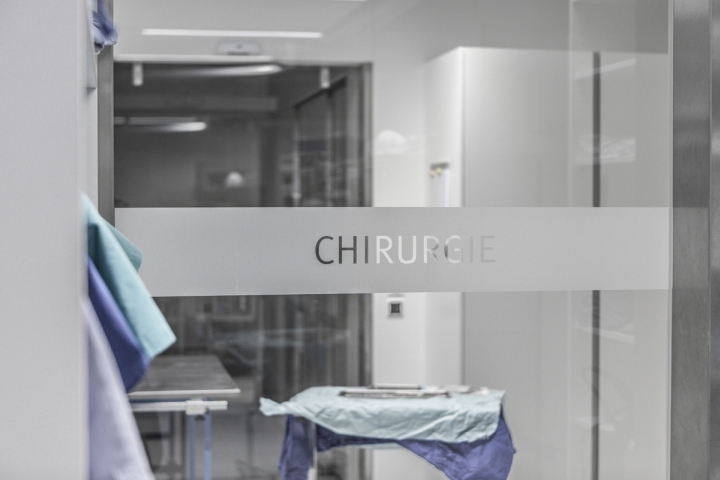 The examination, surgery and recreation room ceilings are covered with glass fiber suspended ceiling panels, in order to be soundproof.